John Smedley recently made it into our top five modern-mod labels. And to make it easier for your to pick up some of the company’s fine knitwear, we have arranged an exclusive 20 per cent discount at the company’s online shop. Yes, 20 per cent off everything – and there’s no catch at all. All you have to do is visit the John Smedley online store, add what you want to your basket, then enter our exclusive code at checkout. You’ll magically see the price cut by that 20 per cent. You have until 30th April 2008, but note there is only one discount allowed per customer – so fill your basket before you get the money off. 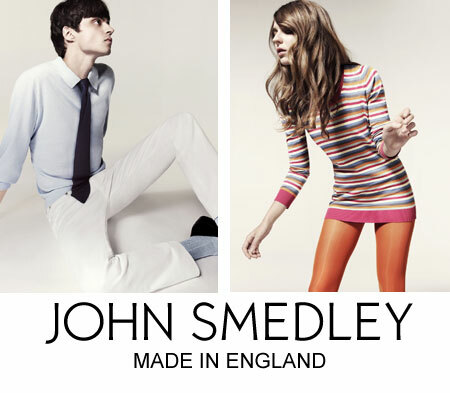 Want to view the John Smedley range? Check out the online store by following the link below. You might want to read the ‘You have until 30th April 2008’ but first.